Kristi Kellogg: Your SMX West keynote is right around the corner. What should the audience be gearing up for? 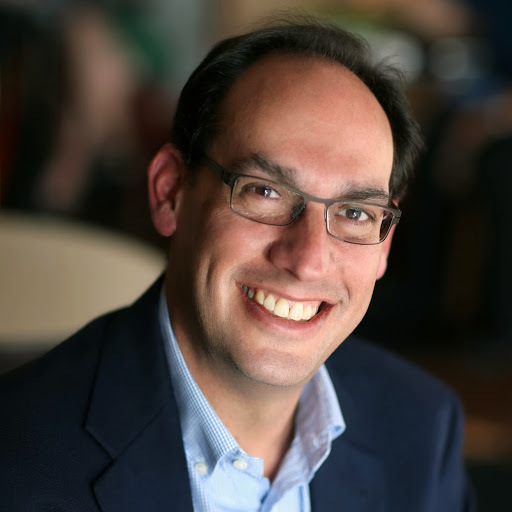 Bill Tancer: One thing I look for as an analyst and an author is inefficiency. There’s a large gap between the importance that reviews play in online commerce and the amount of attention that online marketers give the review “channel.” According to the latest research over 80% of all consumers consult online reviews before making purchase decisions. 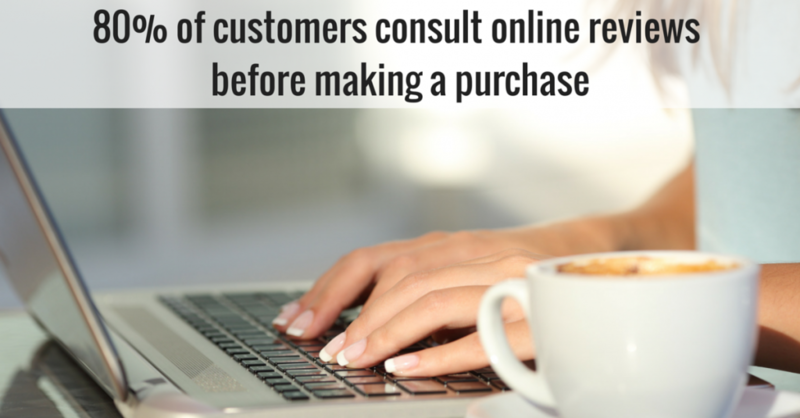 All research points to the fact that the mere existence of online reviews on purchase pages increases conversion. In addition to that, online reviews are the intersection of search and local content. For all these reasons online marketers and search marketers should pay more attention to the online review world. KK: 80 percent of consumers consult online reviews before making a purchase?! That’s huge. And yet, still, some businesses have yet to invest time/strategy into the garnering online reviews. What would you say to the business owner that is starting from scratch? Where should they most focus their efforts? What are the best strategies to get reviews? BT: For the business owner that’s starting from scratch, the most impactful practice is to give your customers a reason to want to write a review for you. Go out of your way to provide some small service that delights your customer. An example that I use in “Everyone’s a Critic” is Jay the locksmith — at the end of a job he goes through the customer’s house or apartment and oils the hinges of all the doors. Its a little act that costs him nothing, takes a few minutes, and is so unexpected and appreciated that his customers flock to Yelp to give him five-star reviews. KK: Negative reviews — they happen. The good news, as you’ve pointed out, is that even negative reviews have a positive effect. What mindset and method do you advocate for responding to negative reviews? BT: First, I suggest that business owners approach negative reviews in the same manner that they would handle a customer who lodges a complaint in person. Most business owners wouldn’t ignore an in-person complaint yet the majority of business owners ignore complaints or one-star reviews on online review sites. As far as mindset, think of a negative review as an open door to start a conversation with a customer that had a negative experience and potentially win them back and in the process show the universe of those reading your reviews that you care about your customers and provide excellent products or services. 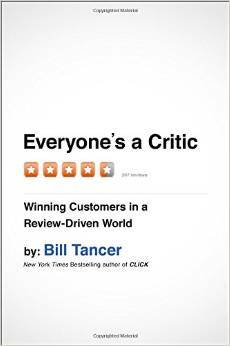 KK: In “Everyone’s a Critic,” you assert that everything (books, cafes, dry cleaners, doctors, dentists, blenders, professors, music, dates) is reviewable — is there any industry under the sun where reviews aren’t as prolific? BT: Professional services are lagging, specifically the medical community. The challenge facing professionals like physicians are restrictions on how they can respond publicly due to confidentiality and patient privacy issues. Without the free flowing discussion between business and customer, overall popularity of reviews for that sector suffer. KK: What’s the biggest mistake brands and businesses make when engaging with consumers online? BT: First, ignoring negative reviews. Second, not recognizing the wealth of information contained in the channel not only about their own brands but also the competitive intelligence that is flourishing about competing brands. KK: Let’s talk Twitter chats. @Experian_US hosts a #MarketingChat every Thursday at 1 p.m. PT/4 p.m. ET. What’s the value of a Twitter chat, for the host and the participants? BT: I use Twitter chats following our Experian Marketing Services’ webinars. I find that these tweet chats turn what’s normally a broadcast channel into a more conversational medium that contains some very valuable nuggets of information. KK: Are any seeds germinating in your mind for a new book? BT: Yes, I’m actually exploring several topics for my third book, including returning to the analysis of observed online behavior and what those observations can tell us about ourselves and how we might behave in the future. KK: As the general manager of global research at Experian Marketing Services, what does your day-to-day look like? What are the biggest challenges and rewards of your job? BT: I have the greatest job in the world (for a data geek). I get to play in the sandbox of Experian Marketing Services Data, like the Hitwise Dataset, Simmons Research, ConsumerView and others and look for interesting insights. The only challenge I can think of is that there aren’t enough hours in the day to do the analysis I would like to do. KK: What are the best books (of any kind) you read last year? What’s on your reading list? KK: What are your resolutions for 2015? KK: Where else can we catch you speaking this year? A busy schedule for an inspirational speaker, no doubt. Looking forward to liveblogging and live tweeting Tancer for Bruce Clay, Inc. next week! Can’t get enough of the SMX West 2015 Speaker Series? Over the past month, we’ve interviewed Bing’s Duane Forrester, Google’s Gary Illyes, SEO by the Sea’s Bill Slawski, Bruce Clay, Inc.’s Mindy Weinstein, HubSpot’s Luke Summerfield, aimClear’s Marty Weintraub, Alliance-Link’s Debra Mastaler and Moz’s Pete Meyers. The SMX West 2015 Speaker Series wraps up this week with two final interviews featuring Pushfire’s Rae Hoffman and Stone Temple Consulting’s Eric Enge. Informative blog for me. Thanks a lot for sharing. Keep sharing.